A development parcel right next to the golf course, housing? Pub?!!!! Large tract of commercial development located directly at the west end of the St. Ignace golf course(with splits available)on busy U.S.#2, 1+ miles west of I-75 and Mackinac Bridge loop in St. Ignace. Across from car dealership, Timmy Lee's pub, motels, pastie shop...Located in Moran Township, the tax base much below city taxes. Water and electric available. Mackinac County is the gateway to Michigan's Upper Peninsula, a 4-season wonderland. Huge need for housing and mixed use. 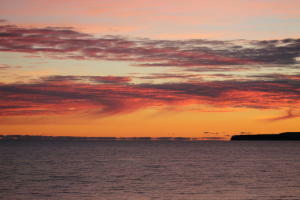 Just minutes to ferries to Mackinac Island. Large tract of commercial development frontage(with splits available)on busy U.S.#2, a couple miles west of the developed area (McDonalds, banks, restaurants) off the I-75 and Mackinac Bridge business loop, St. Ignace. Located in Moran Township, the tax base is attractive, much below city tax base but city water and electric is available to most properties. Additional interior land possibly available for larger development. Mackinac County is the gateway to Michigan's Upper Peninsula, a 4-season wonderland. 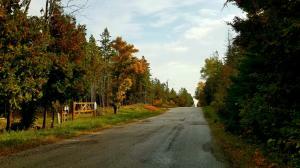 Minutes to Lake Michigan, St. Ignace schools, public lands, beaches, campgrounds-more. Large tracts of commercial development frontage(splits available)on busy U.S.#2,west of the developed area off the I-75 and Mackinac Bridge business loop, St. Ignace. Located in Moran Township, the tax base is attractive, much below city tax base but city water and electric is available to most properties. Some adjoin or look out over golf course or adjacent to the McDonald's Rest. business strip. Now offered at 70% less than 10 years ago and the last building site sold. Additional interior land available. Mackinac County is the gateway to Michigan's Upper Peninsula, a 4-season wonderland! Views of Lake Michigan and the St. Ignace Golf Course. 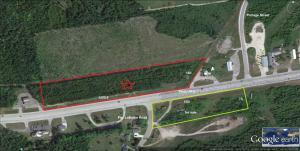 Large tract of commercial development frontage(with splits available)on busy U.S.#2,west of the developed area off the I-75 and Mackinac Bridge business loop, St. Ignace. Moran Township zoning, lower tax base. City water and electric is available. Next to the developed business strip (McDonald's Rest. Burger King, Credit Union). Now offered at 70% less than 10 years ago and the last development. Additional interior land available for lg. development. Mackinac County is the gateway to Michigan's Upper Peninsula, a 4-season wonderland! 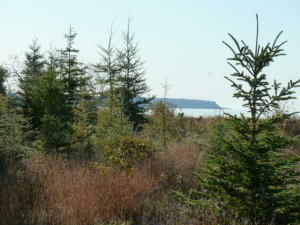 Home Sites or Apartments....Nice development parcel in a quiet residential area of St.Ignace, across from the State Park and wooded section of town. 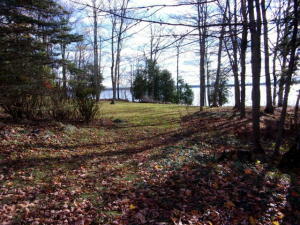 Nice spot to build small apartment unit or will accommodate home sites. High speed internet available. 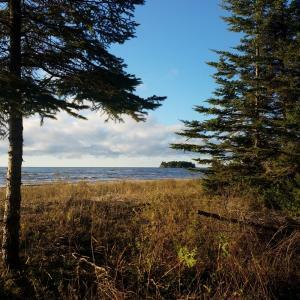 This is a great area for hiking, biking, just a couple blocks to the Dock 3 public park on Lake Huron, grocery, bowling alley, restaurant, church's. Several optional plans for property on file, call for more information.